Logistics play an important role in any economy as the growth prospects of this sector are closely linked to the economic growth and to some extent even foreign trade of the country. Though still at a nascent stage, the growing logistics industry of the country has a promising future ahead and if driven well can transform itself into a business propelling high demand and potential. Technology has a big role to play when it comes to ensuring an effective supply chain in modern day logistics. Logistics companies are waking up to the fact of how investing hugely on newer technologies will mean better business and eventually productivity for them. Technologies like bar-coding and radio frequency identification (RFID), data acquisition technologies like optical scanning, electronic notepads, voice recognition and robotics for information management and control can be used by LSPs (Logistic service providers) to reap maximum benefits and reduce unwarranted operational and manual costs. 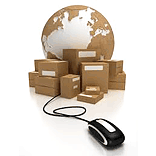 These available technologies also save a lot of time and money in tracing products or shipments. While RFID is the most popular technology in logistics and retail sectors, used for a wide array of applications, warehouse management and distribution system and automated package movement system are some of the futuristic applications available that providers can cash on to provide better services. Technology has had very few takers when talking about the country’s logistics industry. While global players, having understood its implications long back are now increasingly seen leveraging technology, Indian logistic companies are still lagging behind in this and are going relatively slow in providing technology backed logistic services. The recently released report on 'Yearly Sectoral Analysis: Indian Transportation Logistics' by Frost & Sullivan points out that only two-thirds of the providers are reported to using some form of technology solution to support their logistics functions. These solutions included basic inventory management packages and barcode systems. However, usage of exclusive logistics technologies such as warehouse management systems, transportation management systems and radio frequency identification is still significantly low across industries. In the opinion of Piyush Lohia, Director, Lohia Warehouse, technology does play a big role in ensuring an effective SCM. “But considering the fact that the industry is still at a nascent stage, Indian logistic companies have not invested heavily on technology as yet. Even today you will find most of the merchandise is unpalletised. So when there are still many unaddressed issues in the current logistics scenario, technology naturally takes a back seat at this point,” he said. Lack of proper infrastructure like roads, electricity and basic communication facilities can also be cited as a major hindrance for lower technology penetration. Technology can be big enabler for the logistics industry, provided every firm adopt new technologies and integrate the same into their operations to gain maximum benefits. In this era of outsourcing, the logistics industry should look up to tapping maximum benefits from IT spending and lower their costs to compete effectively in this fast emerging economy with incremental growth prospects.